I mentioned a rum cocktail called “Bacardi” the other day. 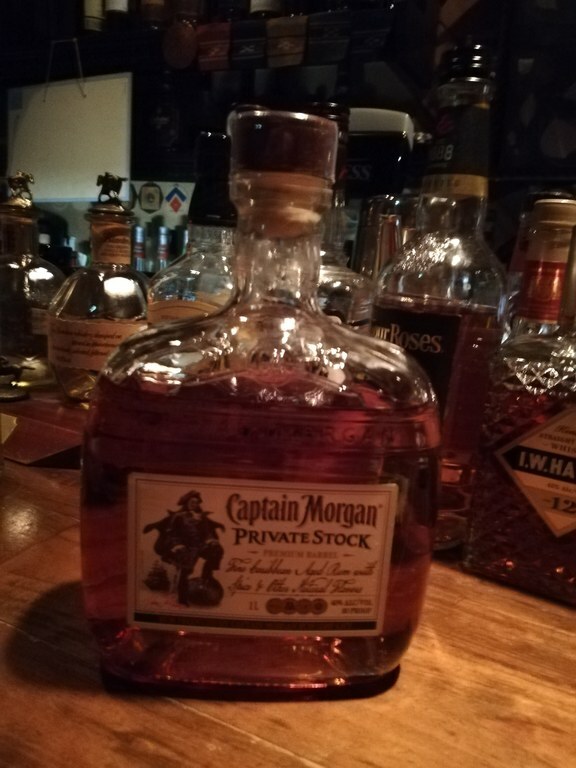 When we talked about this cocktail the bartender took out a bottle saying “There are some kind of rums you can drink straight”. That was “Captain Morgan Private Stock”. The liquid in a squat bottle is, unlike white rum used in Bacardi, tasty looking amber color. According to what the bartender said, it is already flavored with vanilla, cinnamon and some others so you should have it added nothing. Actually, I was a bit excited only by the name Captain Morgan. Because I’ve already known the name through reading “Live and Let Die ”, one of my favorite 007 book series, and the captain was mentioned as “Bloody Morgan” in it. In this story which takes place in the Caribbean, the mission of James Bond is to cut off a source of funds of a guy called Mr. Big, the boss of a gangster in Harlem. Actually, Mr. Big is an agent for the USSR and the gold coins which are taken from a Morgan’s wrecked ship on the bottom of the Caribbean eventually become a source of funds of Moscow. 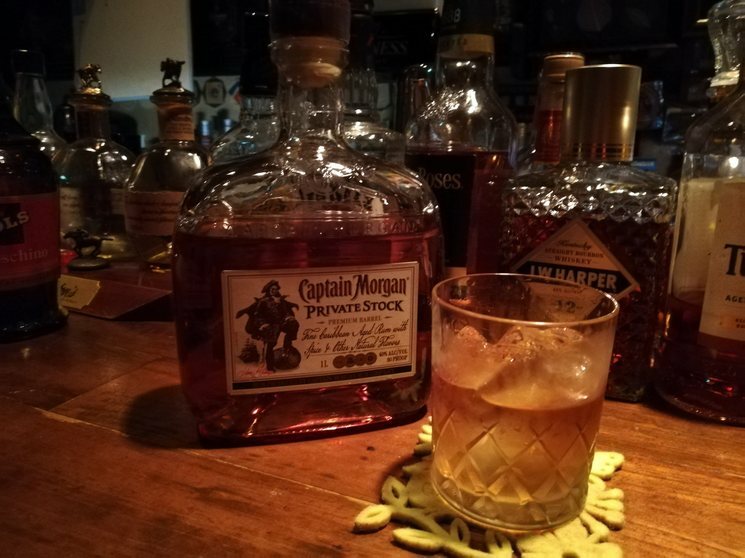 Thinking about those things, I enjoyed the rum on the rocks and it tasted very fruity so I felt the taste has nothing to do with any bloody piracy.